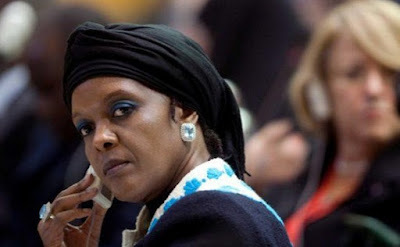 Zimbabwe today made said it would not extradite Grace Mugabe, wife of former president Robert Mugabe, after an arrest warrant was issued in South Africa for her alleged assault of a model in 2017. The 53-year-old reportedly attacked Gabrielle Engels using an electrical extension cord at an upmarket hotel in Johannesburg’s business district of Sandton where the Mugabes’ two sons were staying. “We will not smile at something like that, for her to be harassed, embarrassed or ill-treated,” deputy information minister Energy Mutodi told AFP. The Randburg Magistrates Court in Gauteng province issued the warrant of arrest on December 13, charging Mugabe with “assault causing grievous bodily harm”.